FM Lieberman arrives in Azerbaijan, meets senior officials; visit comes amid reports that Mossad has been operating in the country. 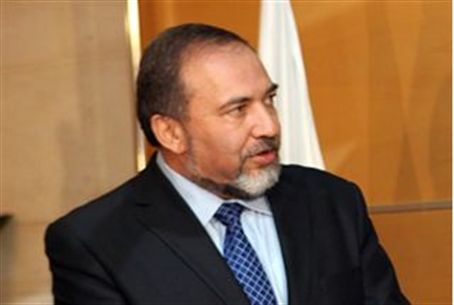 Israeli Foreign Minister Avigdor Lieberman arrived in Azerbaijan Sunday evening, where he will meet senior officials Monday, his office said in a statement. Lieberman’s visit comes amid reports that the Mossad has been operating in Azerbaijan in order to gather intelligence information on Iran. Last month, the United States leaked a report that Azerbaijan had granted Israel access to its air bases, which could assist in a potential Israeli strike against Iranian nuclear facilities. The reports have been denied. In a two-day visit to the Azerbaijan capital, Baku, Lieberman will be meeting with Azeri President Ilham Aliyev, Foreign Minister Elmar Mammadyarov and other senior officials. Leiberman will speak at a ceremony marking 20 years of diplomatic ties between the two countries and will meet leaders of the local Jewish community. He is also scheduled to attend the inauguration of a Jewish cultural centre. On Tuesday Lieberman will meet with Swiss Foreign Minister Didier Burkhalter in Bern, Switzerland. Relations between Baku and Tehran have become increasingly strained in recent months, due to Iran’s dissatisfaction regarding Azerbaijan's cordial ties with Israel and its reported purchase of hundreds of millions of dollars' worth of weapons from the Jewish state.